On 19th December 2017, the Federal High Court (“FHC”) in Lagos per Kuewumi J., upheld the decision of the Tax Appeal Tribunal (“TAT”) in Vodacom Business Nigeria Limited v. Federal Inland Revenue Service which set out the statutory provisions and guiding principles in Nigeria for the imposition of Value Added Tax (“VAT”) on imported services.Briefly, the facts of the case are that, a foreign satellite owner, NSS had supplied Vodacom, a Nigerian company, with satellite-network bandwidth capacities which were received in Nigeria through earth-based stations set up by Vodacom. Also contractually, the VAT burden had been transferred from NSS to Vodacom. At the TAT, Vodacom argued that the supply of bandwidth capacities was not an imported service, as it was supplied in the Netherlands. FIRS on the other hand argued at the TAT that by virtue of section 2 of the Value Added Tax Act 2007 (“VAT Act”), VAT is chargeable on any good or service supplied in Nigeria, except expressly exempted. Since the supply of bandwidth capacities was not expressly exempted, FIRS argued that such supply was subject to VAT. The TAT accepted FIRS’ argument. The TAT also took the view on the basis of the “destination principle” that since the service in question, the supply of bandwidth capacities, was consumed in Nigeria, its supply was subject to VAT in Nigeria. Vodacom appealed against the decision of the TAT to the FHC. Vodacom argued that a service supplied by a non-resident person to a person inside Nigeria is only subject to VAT if the service is indeed rendered in Nigeria. Section 46 of the VAT Act defines “imported service” as “service rendered in Nigeria by a non-resident person to a person inside Nigeria.” Vodacom argued that the words “rendered in Nigeria” as inserted by the lawmaker as it relates to the definition of “imported service,” in Section 46 of the VAT Act, has the location where the service was rendered, and not where the service was received, as the relevant consideration. Consequently, the physical act of rendering the service had to be performed in Nigeria for the service to be liable to VAT. Vodacom also argued that the TAT had found that NSS, the non-resident company in question, was not incorporated in Nigeria or registered for tax purposes with FIRS. Vodacom therefore argued that NSS did not carry on business in Nigeria. Vodacom also argued that the failure of the TAT to make pronouncements on the arguments raised by Vodacom as regards the fact that NSS was not carrying on business in Nigeria, made the judgment of the TAT flawed. Vodacom further argued that its obligation to pay VAT was premised on the issuance of VAT invoice to it by the non-resident supplier, NSS pursuant to Section 10(2) of the VAT Act. Since NSS issued no VAT invoice to Vodacom, Vodacom had no duty to remit VAT to FIRS. Vodacom further contended that the VAT Act contained no provisions penalising the recipient of services for non-payment of VAT consequent upon the non-issuance of VAT invoice by the non-resident supplier of services. On its part, FIRS argued that Section 2 of the VAT Act made every supply of service in Nigeria liable to VAT except the services which are listed in the First Schedule to the VAT Act, notably amongst which is exported service. FIRS argued that from the definitions of“supply of services” and “supply of goods” in Section 46 of the VAT Act, acts of sale and delivery are acts of supply (clearly different from production) and that sale and delivery take place when the goods or services are received and paid for by the consumer. FIRS argued that what matters to Section 10(2) of the VAT Act, is that the consumer, not the means of supply, is in Nigeria, as the non-resident supplier may or may not be required to accompany the goods or services to Nigeria, but that even where the non-resident supplier accompanied the goods into Nigeria, that did not detract from the requirements to comply with Section 10(2) of the VAT Act. Thus, the physical act of rendering the service could not be restricted to the physical presence of NSS in Nigeria. FIRS then argued that Section 10(2) of the VAT Act creates two statutory duties namely: (i) the duty of the non-resident company to include the tax in its invoice; and (ii) the duty of the person to whom the goods or services are supplied in Nigeria to remit the tax. FIRS argued that the foregoing duties were separate, distinct and independent of each other, further arguing that the requirements under Section 10 of the VAT Act are only made for proper record, accountability and ease of compliance/enforcement and not a condition precedent for liability to pay VAT. FIRS contended that the very moment the services were received in Nigeria by Vodacom, the liability to account for VAT arose even with the failure of NSS to include VAT in its invoice or did but under assessed VAT. FIRS maintained that the non-registration or non-issuance of an invoice for VAT was not fatal to the remittance of VAT by a taxable person because Section 15(1) of the VAT Act compels a taxable person to render account of his transaction. FIRS further argued that if Section 10 of the VAT Act was interpreted to prevent VAT collection when the foreign supplier of services failed to register for VAT and raise VAT invoice, then a recipe for tax evasion would be brewed as the consumers in imported services in future cases would only need to ensure that their non-resident suppliers do not comply with Section 10 for them to escape VAT on the services. On the effect of the phrase, “carrying on business” in Section 10 of the VAT Act, FIRS argued, relying on a judicial precedent, that sale was a transaction by way of trade notwithstanding that it was an isolated transaction where the intention of the company was to deal in that line of business within its memorandum of association. In its judgment, the FHC held that Section 2 of the VAT Act was the charging clause and imposed VAT on the supply of all goods and services other than those listed as exempted in the First Schedule to the VAT Act. 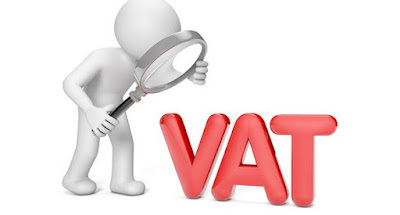 Consequently, VAT is charged and payable on all international, inter-state and intra-state supplies of goods and services except those that are expressly exempted bearing in mind the territorial nature of tax law. The FHC discountenanced as untenable, Vodacom’s argument that in considering what an imported service was, the relevant consideration was the location where the service was rendered and not where the service was received. The FHC held that in ascertaining whether a transaction is liable to VAT, the crucial questions are: (i) did the transaction give rise to a supply of either goods or services (ii) was it for consideration? (iii) is the supply of goods and services exempted by the VAT Act? The FHC held that if questions (i) and (ii) are answered in the affirmative and question (iii), then such a transaction is subject to VAT. The FHC further discountenanced Vodacom’s argument that a service supplied by a non-resident person to a person inside Nigeria is only subject to VAT if the service is rendered in Nigeria. The FHC held that for supply of imported goods and imported services, the location of the supplier was of no consequence. What was important was whether a supply of goods and services was made into Nigeria and for consideration, and once that question was answered in the affirmative, a VAT-chargeable transaction had occurred. The FHC held that in the instant case, Vodacom was supplied in Nigeria, satellite network bandwidth capacities for consideration as shown by the contractual document and such supply not being within the exempted services, was liable to VAT in Nigeria pursuant to Section 2 of the VAT Act. In essence, the supply of satellite network bandwidth capacities qualified as “imported service” because it was supplied by a person outside Nigeria to a person inside Nigeria. The FHC further held that in the context of VAT, a company was a non-resident company if it was either a foreign company unincorporated in Nigeria but present in Nigeria on the basis that it had applied and obtained exemption pursuant to the provisions of Section 59 of the Companies and Allied Matters Act, Cap C20, Laws of the Federation of Nigeria 2004; or a foreign entity outside Nigeria but transacting business with persons in Nigeria. The FHC noted that the requirement for VAT registration was relaxed for a non-resident company which had no physical presence in Nigeria to reduce the administrative burden on such non-resident company. In some jurisdictions, the approach in this second instance would be to under the reverse charge mechanism, require the VAT to be paid by the recipient (i.e. the consumer) rather than the supplier of the imported services. The FHC held that a contrary decision in this regard would be “a gratuitous escape route for VAT evasion” since a non-resident supplier would be able to, by refusing to be registered for VAT, be excused from the liability to pay VAT for a transaction liable to VAT. Such was not the purpose of the VAT Act. As regards whether or not the non-resident supplier carried on business in Nigeria, the FHC held that in keeping with a cardinal feature of VAT namely, flexibility to keep pace with technological and commercial developments, “carries on business” includes a single supply of goods and services of Nigeria. The FHC viewed as a misdirection, the TAT’s holding that NSS did not carry on business in Nigeria arising from the perception that a business can only be carried on in Nigeria if the company in issue was resident in Nigeria. In providing clarification, the FHC held that all that was to be considered in finding out whether an entity was carrying on business in Nigeria from outside Nigeria or not for the purpose of VAT was the occurrence of a supply to a person in Nigeria. Physical presence was not a condition to carrying on business in Nigeria for the purpose of the VAT Act. Referencing the non-binding OECD VAT/GST Guidelines, the FHC held that a service had been rendered only when it had been consumed. Essentially, VAT should be levied in the consumer’s jurisdiction, rather than the non-resident supplier’s jurisdiction. Consequently, a service made without delivery had not been rendered. A service was rendered in Nigeria if it was received by a person in Nigeria from outside Nigeria. As a passing remark, the FHC observed that the likely conflict the insertion of the phrase “in Nigeria” in Section 46 of the VAT Act had set out to abort, was a situation where a person inside Nigeria imported services that were rendered in a country other than Nigeria. The FHC noted that in this case, the non-resident supplier, NSS had contracted its VAT liability to Vodacom and held that even if the clause contracting the VAT liability were non-existent, Vodacom would still be liable to VAT by virtue of Section 2 of the VAT Act as such was a purposeful way of interpretation to avoid double taxation or unintended non-taxation. The FHC held that to avoid the administrative burden of registration on a non-resident company supplying services and to assure that VAT was accounted for, the reverse charge mechanism was appropriate to be applied which required the VAT-registered customer to account for the VAT on supplies received from the non-resident supplier. The FHC subsequently held that it was just to apply the reverse charge mechanism because a patriot dealing with a person outside Nigeria over a supply made to him must take steps to avoid a situation where the State was deprived of legitimate revenue. The FHC consequently affirmed the decision of the TAT delivered on 12th February 2016. Before now, it seemed like there were two conflicting decisions on the issue of the imposition of VAT on a service provided by a non-resident entity to a Nigerian entity arising from the decisions of different TAT panels in Gazprom v. FIRS and Vodacom v. FIRS. In the earlier decided Gazprom case, The Abuja panel of the TAT had held that since a non-resident supplier contracting with a Nigerian company was not necessarily carrying on business in Nigeria, such company was not obliged to register for or charge VAT and the Nigerian customer was not obliged to remit VAT to the FIRS where the supplier does not issue a tax invoice. In the Vodacom case decided subsequently, the Lagos panel of the TAT took the view on the basis of the “destination principle” that since the service in question, the supply of bandwidth capacities, was consumed in Nigeria, its supply was subject to VAT in Nigeria and the consumer had a duty to ensure the non-resident supplier issued a VAT invoice. For information as regards how this decision may affect your tax affairs, you may contact me.